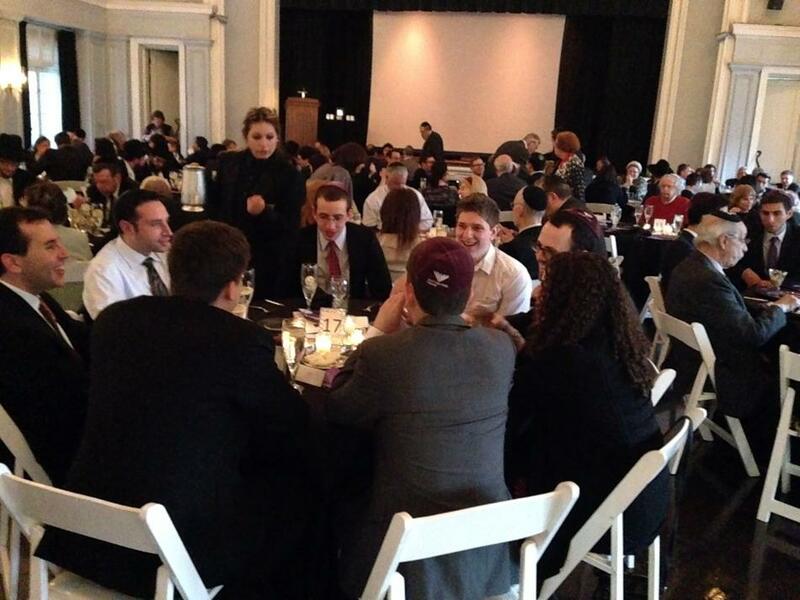 Students, city officials and others gathered for dinner Sunday at the Woman’s Club of Evanston for the Tannenbaum Chabad House’s Service Recognition Award Reception. The event was held to honor Evanston Police Chief Richard Eddington, among others. More than 100 people attended a dinner reception hosted by the Tannenbaum Chabad House to honor Evanston Police Chief Richard Eddington and others. Eddington was honored with the Guardian Award for his years of service to the city and to the police department. Rabbi Dov Hillel Klein said Eddington is a huge supporter of the Jewish center. The annual Service Recognition Award Reception, which was hosted at the Woman’s Club of Evanston, 1702 Chicago Ave., on Sunday evening, was held also to recognize alumni and current student leaders in addition to Eddington as well as the Chabad House’s more than 20 years of service to the Evanston and NU communities. Mayor Elizabeth Tisdahl spoke at the dinner about the role that the Chabad House plays in Evanston. Eddington spoke about the importance of the Chabad House in ministering to the city, and especially to the police department. Donald Jacobs, dean emeritus of the Kellogg School of Management, also spoke positively about the contributions of the Chabad House to the university, more than a year and a half after the Jewish center’sdisaffiliation from the University following allegations that Klein was serving alcohol to minors. Alumnus David Edelstein (Weinberg ’04) and his wife Lauren Edelstein were given the Kindness Award. David Edelstein helped Alpha Epsilon Pi become more established at NU and currently works as an attorney in Washington, D.C.
Additionally, seven graduating students on the executive board of the Chabad House were recognized for their accomplishments within Chabad and the Jewish community as a whole at NU. The event included a performance from the a cappella group Asterik and a live comedian, Mark Schiff. The Chabad House in Evanston, 2014 Orrington Ave., was founded when Klein arrived at NU in 1985 as a home away from home for Jewish students at NU, according to its website. But it also offers services for the Evanston community as a whole, including for the police department. Klein founded and developed the Evanston Police Chaplain Program, which “offers comfort, prayer, guidance, wisdom, common sense and expertise to members of the Evanston Police Department, their families, and the community at large,” according to its website.